This Halloween marks the third year since I picked up the pen (or more accurately, started tapping the keyboard) and set off on my literary journey. Since October 2011, I have had five novels published (currently halfway through writing my sixth), as well as more than half a dozen short stories. Right now, I have fifteen titles to my credit on Amazon.com. Not bad for three years worth of work, during which time our second child was born, my wife was granted an immigration visa, and we moved twice - once within China and then from China to the USA, where we found a home and I began a new job. I'm not one of those authors who needs to retreat to a quiet cabin in the woods; I have adapted to write pretty much anywhere, anytime. Let me tell you the story of how it all began. For my 29th birthday in 2011, my wife got me an iPad 2. My birthday is on November 9th but she was so excited, she wanted to give me the gift early. So I fired it up and was quickly impressed by its size and features. One such feature that was particularly amazing was its wi-fi capabilities. I joined the smartphone craze a bit late so the idea of walking from room to room, holding a screen in my hand with uninterrupted internet connection was fascinating. I decided to put it to the test. I started up a Chinese app called PPS, which was a video streaming service. 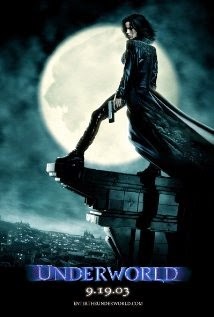 Thousands of movies and TV programs were available to choose from, and I decided upon one of my personal favorites: Underworld. I was awestruck. I was watching one of my favorite action movies on a tablet with startling clear picture and sound. And as I watched, I was reminded of something else: how insanely awesome this movie was. I don't remember at which part in the film it happened, but a thought blazed through my brain like a lightning strike. I want to write a book like this. A book dripping with ultra-Gothic atmosphere, grim, violent, black as night. I had recently started listening to symphonic metal, a form of music that blends heavy metal with classical compositions, and I had also just finished Victor Hugo's masterpiece The Hunchback of Notre Dame, which was essentially a course on Gothic architecture. My mind was brimming with epic imagination and when I made the choice to write a book, the floodgates opened. Great testimony, Mark. As I said in a previous post, it is good to know how you got started and what influences led to you becoming an author. And look how successful you have been!